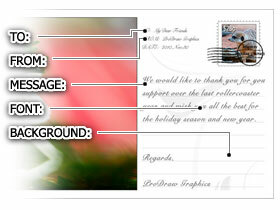 This helps to to create your very own personal ecard. Upload your photo, write down the greeting message, apply the color theme, and photo effect. Then the unique and personally style photo ecard will be generated immediately. But you'll need to download and send it out by yourself. 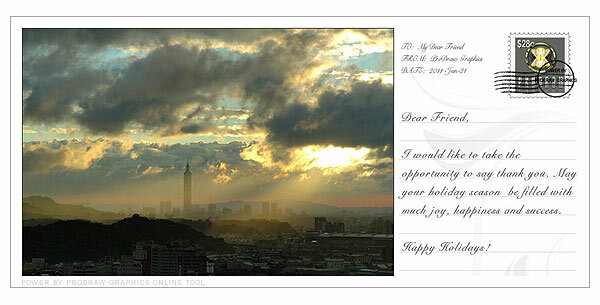 We'll not send this photo ecard to your friends for you.